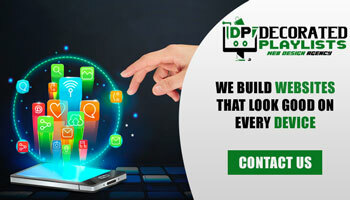 We not only host you websites, but also build websites that that look good on every device. We think strategically to make the most of the digital space for your business. These are the areas of our expertise. Check our homepage for more info. Our team of experienced web designers and developers specialize in wonderful WordPress websites. They have powerful integrations which make them easy to update. Your site can grow with your business. With WordPress, it is easy to add new content, integrate the content with social media, and other business tools. These websites are creating to convert visitors into buyers. We provide e-commerce solutions that are flexible, secure and easy to use. With our e-commerce site, you will get noticed. Our e-commerce sites are easy to use so that you can update your products, promotions, and pricing anytime. You can integrate it with your existing WordPress website. Our team can help you to map the buying behaviors of your target audience. This way you can find the best e-commerce solutions that will convert your visitors into customers. Whether your website is performing for your business or converting, we work with you to come up with strategies for improving your websites. We find out whether your content is persuasive, and your identity is identical across your web and social platforms. We help you to get traffic through advertising strategies. We can design different branding and marketing materials for your campaigns. So, whether it’s printed newsletters, email campaigns or social media profiles, you should talk to us about how we can make your business move forward. We specialize in logo design, brochures, and flyers, business cards, etc. If you want any of these services for your website, please contact us. Our team will sit with you to know your needs and come up with a suitable solution for your website.